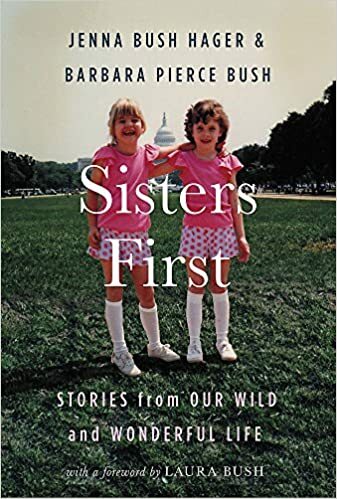 Sisters First: Stories from Our Wild and Wonderful Life by Jenna Bush Hager and Barbara Pierce Bush- I really enjoyed this book! I got it for Christmas from my good friend, Stephanie, who is a big George Bush fan and said she thought of me when she saw it because we have twins too. She always gives the most thoughtful gifts! They co-wrote this book and it was so neat to just learn more about their lives, which also taught us a little bit more about history since their family was/is so influential, and hear their stories. I love hearing other's stories. It was also so interesting to hear about their take on being twins and what that was like. Our girls are 17 months, so can't obviously verbalize anything about what it's like, so it was great to hear about it from their perspective. One really interesting thing was they commented on how their personalities turned out/were formed, and if that was really the way they were, or if their personalities were slowly shaped by what people kept saying about them (like one twin is more talkative and one is more quiet, for example). It was a good reminder to me to try to not compare them in describing them, but to just talk about them as their own individual person. 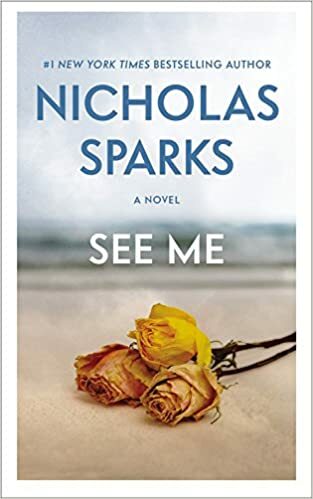 See Me by Nicholas Sparks- I really enjoyed this book also. I found myself thinking about it when I wasn't reading it and anxious to get back to it, so that's a great indicator of how good it was! Of course there is a love story in it between Colin and Maria (because it's Nicholas Sparks, of course), but it was also different than most of his other books I think because it was more suspenseful. Maria is a lawyer, and events from her past, specifically a specific case that went south, come back into play and cause a lot of trouble. I don't want to give plot details away, but it was an attention grabber and entertaining read! 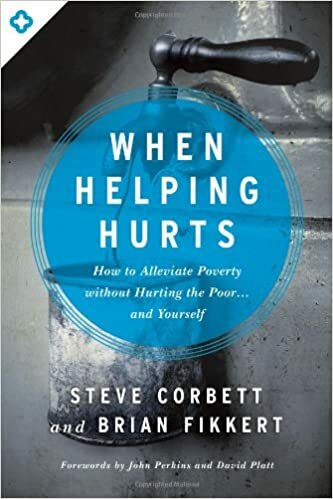 When Helping Hurts: How to Alleviate Poverty without Hurting the Poor...and Yourself by Steve Corbett and Brian Fikkert- This book was a very informative read. It's definitely a deep book with lots of "meat," so you really have to be in the mood to delve in when you read it, but it's very good and I learned a lot. It's hard to even summarize because there was so much good content. Basically, it's about how many North American churches and Christians do a poor job of actually helping the poor in meaningful ways. Too often people throw money or material things (relief) at a situation that really calls for rehabilitation and/or development, such as developing a relationship with people and going the long haul with them to help transform their life and make better decisions to help them get to more positive, healthy, and encouraging life situations. They talk a lot about the four foundational relationships (relationship with God, relationship with self, relationship with others, and relationship with the rest of creation) and their definition of material poverty alleviation is: working to reconcile the four foundational relationships so that people can fulfill their callings of glorifying God by working and supporting themselves and their families with the fruit of that work. It was a deep read, but good and lots of convicting, helpful, and thought-provoking information.